My name is Monique, and I am addicted to notebooks. I keep several handy for a variety of tasks, and lately I’ve been drawn to ones that use unconventional paper or get creative with the lines. Throw in an awesome cover and some earth friendly materials, and I’m hooked! 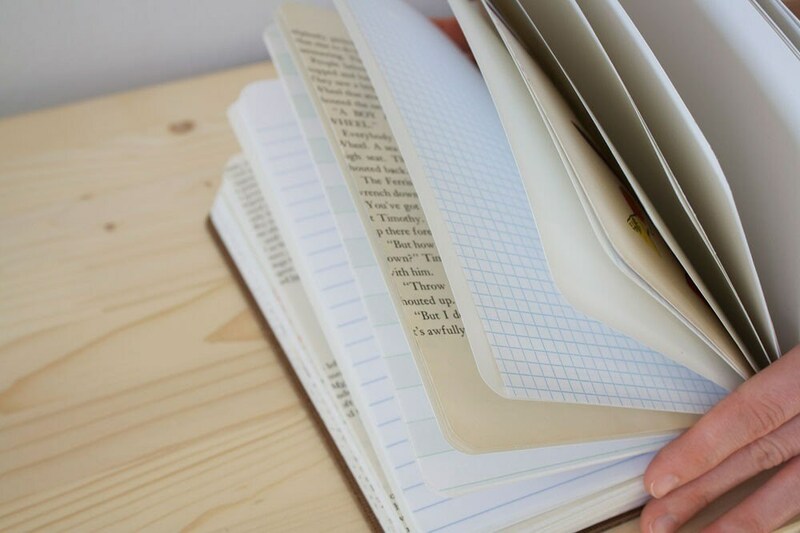 Just when I’m nearing my collector capacity, in struts NOTEABLES, quickly seducing me with its eco-friendly, upcycled cover, brown (or white) recycled pages, and hand-stitched binding. The cover was once part of the RCA Dome in Indianapolis, and upon demolition in 2008, People for Urban Progress arranged for the salvage of approximately 90% of the roof material, keeping the fiberglass out of local landfills. Since then, they’ve been hard at work, repurposing the dome for school roofs, park shade structures, messenger bags, and these notebooks. Grab yours here, and hold it up to your ear to hear people cheering loudly for urban progress.